I was listening to the amazing author, researcher and storyteller Brené Brown’s audiobook on my way to my brother’s birthday get-together 🍰 the other day. And she was talking about how we as humans have the tendency to not share our problems until after we’ve fixed them. It certainly sounds like me. Heck, I sometimes don’t even share my problems even AFTER I’ve fixed them. Because I realize that I haven’t written as frequently as I used to. And there are reasons for that that haven’t been resolved 100%. 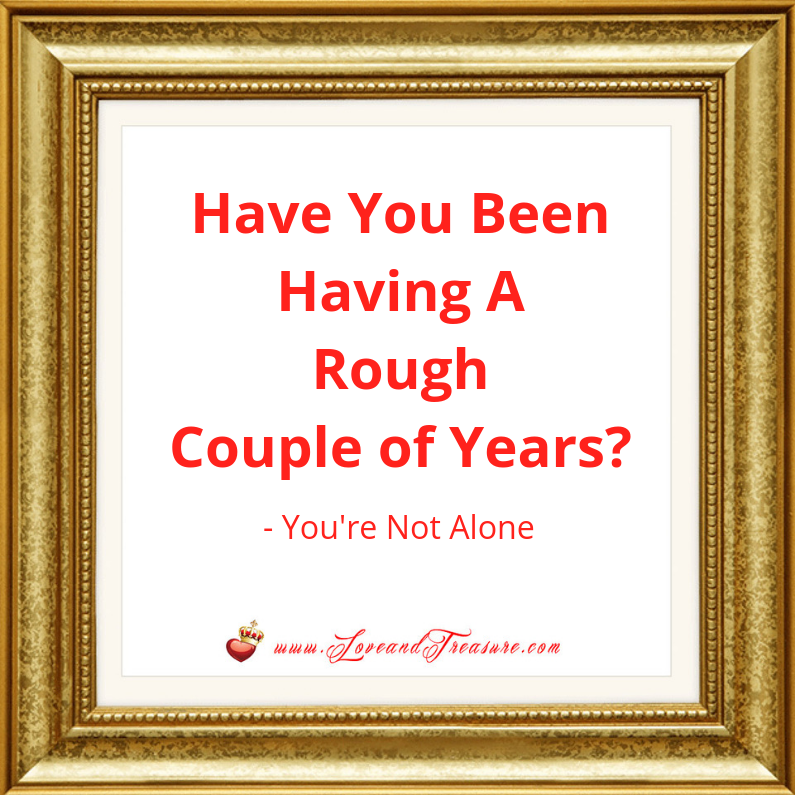 But I feel it’s important to share them with you simply so that you know that if you’re experiencing the same thing, or a whole different set of feelings and issues and have therefore been having a rough couple of years, you’re not alone. It seems as if the world we knew officially stopped existing on that dark, murky and worldwide dark night of the soul. I was hopeful that we would avoid the disaster the one candidate is and celebrate our first female president. When the preliminary results weren’t shifting in our favor, I started to get very worried. I held on to hope until there was no hope. I went to bed extremely sad. I woke up even more sad… especially because I was hoping that the results had turned around. That my loss of hope was just in my head. But the nightmare that I thought had happened was now our reality. And when I saw my toddler in the morning, I got SUPER emotional. I couldn’t hold back the tears. And there was nobody to talk to. It continues to be hard because unimaginably horrible things have happened as a nation since then. And the end of this downward spiral, that political experts said would take 10 months to sort out is nowhere in sight. I need the light at the end of the tunnel. And I’m sure that if you can relate, you do too. But as long as the tunnel is, we have to see the light. Eventually. We have to. But in a nutshell, it’s been challenging to be cheery, creative and be able to focus on the things we love and treasure 100% because of this. Ironically though, it’s the people whom I love that have been the saving grace during this time, including loving myself. How would you say the election affected you? I consider myself to be very healthy. Even now. But I did experience a stomach health hiccup that I wasn’t expecting. But, it has given me a new lease on life. And I am hopeful for the future because even though it was minor in the grand scheme of things, there have been nights when I have thought that I wouldn’t see the next day’s sunshine. So, I was especially grateful for my last birthday. I will probably be sharing more about this in the future, in the spirit of helping others who may be experiencing the same thing I did. If you’re like me, and you’re usually a go-go-go person… sometimes health issues pop up so that you pay more attention to yourself. And stop. And put yourself in the #1 position of your totem pole. And yeah, it feels selfish, especially if you have people who depend on you, but you’re better able to enjoy being with them when you feel well. I experienced another life curveball. And that one, I’d rather keep to myself. On the contrary, I’ve built a free online course, that you’ll want to sign up for if you’re a breastfeeding mom by visiting this link to Breastfeed Your Baby Successfully. And if you’re not breastfeeding, but know someone who is, please pass this link onto them, because I want to help as many moms and children as I can. Keep in mind that I’m sharing this life update not to cause pity or anything. On the contrary… I’m sharing this so that you know that hiccups happen to all of us. They can happen in all areas of life. And that even though it feels SUPER lonely and extemely hard sometimes, there IS light at the end of the tunnel that we can crawl, walk, jog or run faster toward. Or take all the time we need to move toward. By the way, I don’t typically share my problems. Almost never. If you were to ask me, “How are you?” Without hesitating I would say, “Fine.” Because it’s become second nature and I don’t want to overwhelm you with my issues, knowing that you have your own. BUT… because I value you, and I want to keep it real with you. That’s what’s been going on. How has life been treating you so far? Any challenges or blessings you want to share? Feel free to do so in the comments below. Which Room in Your Home Deserves the Most Attention a Couple of Months Post-Partum?